It is with pride that the Cheshire Agricultural Society announces that its chairman, Tony Garnett DL ARAgS, has received a Fellowship award from the Council for Awards of the Royal Agricultural Societies (CARAS). Mr Garnett, an Associate of CARAS for the past five years, was hugely surprised with this latest accolade by Royal Cheshire County Show President Vic Croxson DL MBA FRAgS during the Show at the President’s Lunch. This prestigious award can only be received by “Associates who can demonstrate a continuing significant contribution to agricultural and rural progress in the UK” or, exceptionally, to other individuals, such as, most recently, HRH The Countess of Wessex. The four National Agricultural Societies that have royal status, namely The Royal Agricultural Society of England, The Royal Ulster, The Royal Welsh and The Royal Highland & Agricultural Society of Scotland, sponsor the award. “Today I am privileged to be able to read to you a letter from the secretary of CARAS addressed to Tony that I have been fortunate, by devious means, to intercept,” Mr Croxson told guests inside the President’s Marquee. “I hope Tony, you will forgive me for doing that, but both CARAS and I felt this occasion, with so many of your Cheshire friends present, is the most appropriate time to make this announcement – although an invitation to the House of Lords for you to receive national acclaim will follow. “The letter says: ‘Dear Tony, It is with much pleasure that I write to inform you that at its recent meeting the Council resolved unanimously, in view of your outstanding personal achievements and continuing record of service to agriculture and especially to the Royal Cheshire County Show, to advance you from Associateship to Fellowship of Royal Agricultural Societies’. Of the surprise announcement, Mr Garnett, who was accompanied at the luncheon by his wife Pamela, said: “Neither of us had any idea whatsoever that it was going to happen although as Vic got three quarters of the way through his speech, I did start to wonder what was going on. Mr Croxson also dedicated part of his President’s speech to thanking Tony and Pamela for the work they put into securing the royal title for the Cheshire County Show, which debuted in 2016 as the Royal Cheshire County Show. “It was the quality of the voluminous submission that they wrote and submitted to the Cabinet Office, describing why the Cheshire should become the Royal Cheshire, which achieved this prestigious outcome. It has been a remarkable year for Mr Garnett. As well as receiving the CARAS Fellowship, he had a huge influence as Royal Cheshire County Show Chairman on the success of last week’s two-day event at Tabley Showground, which involved hundreds of hours of work over 12 months in a volunteering capacity. 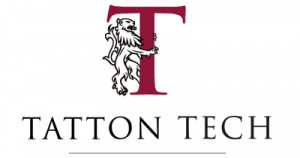 Additionally, Mr Garnett was the recipient of the Capesthorne Millennium Cup at the Cheshire Agricultural Society’s Annual General Meeting at Combermere Abbey in Whitchurch, held at the at the end of April. The Cheshire Agricultural Society through a small committee, chaired by Sir William Bromley Davenport KCVO, administers the Capesthorne Millennium Cup, awarded for “exceptional endeavour in promoting the interests of agriculture or countryside-related activities in Cheshire”. The next Royal Cheshire County Show is scheduled to take place at Tabley Showground, near Knutsford, on June 20-21 in 2017. 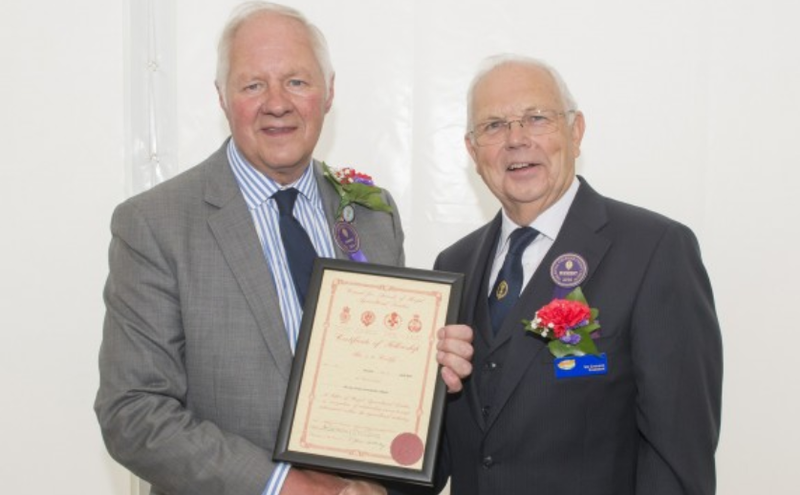 Photo: Tony Garnett DL ARAgS (left) receives his a Fellowship award from Show President Vic Croxson DL MBA FRAgS, on behalf of the the Council for Awards of the Royal Agricultural Societies, at the Royal Cheshire County Show 2016.